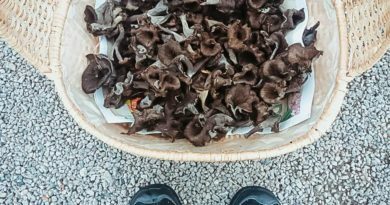 Welcome in the most colorful week of the year! PRIDE WEEK starts today! 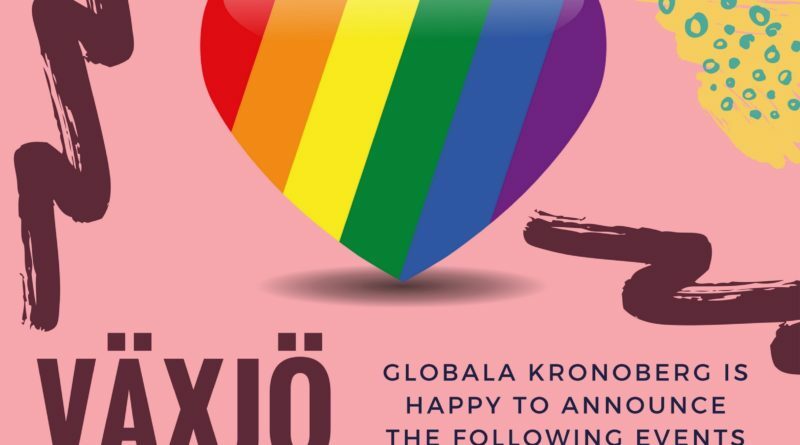 This year Globala Kronoberg is going to celebrate Pride not only by attending the Parade but also involving volunteers from abroad to share direct experiences of LGBTQ+ rights and situation in their home-countries. 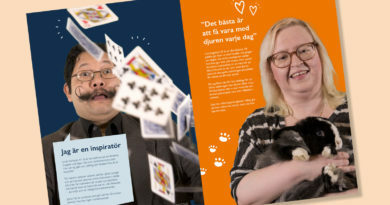 This is the theme of the ”Cultural evening” that’s gonna be held in Växjö Biblioteket on May 12th between 15.00 – 16.00 o’ clock. The presenting countries are going to be Spain, Ukraine and Italy, it means States which are truly interesting to be seen from a LGBTQ+ perspective due the fact that the issue still cause lots of fights and violations and raise attention and tension among the society. 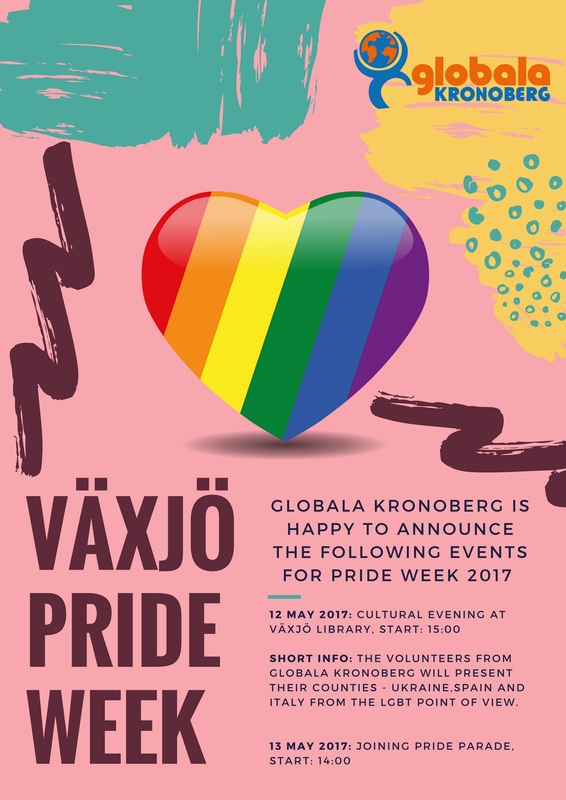 If you want to know more about how LGBTQ+ community lives in Italy, Spain and Ukraine we will be waiting for you in our event ”Cultural Evening in the Library”! 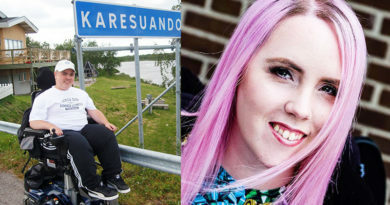 ← European Youth Week event – Globala Kronoberg’s Language Meeting in Palladium!